Crossing borders with a piano under your arm. Alina, her husband Yuri and their two daughters were a normal Jewish family in Donetsk, Eastern Ukraine. Yuri worked as a sanitary doctor for seventeen years until that turning moment in 2014. During one night in 2014 all the Ukrainian flags were taken down, and the city became a no-man’s-land. Yuri and Alina realised that they have no time to waste. They packed two suitcases with only the most basic belongings. The only extra luggage that they had was… an electric piano! The eldest daughter of Yuri and Alina – Amaliya – plays the piano. In 2014 she was ten years old, but already back then music took an important place in her life. So with the electric piano under his arm, with his wife and two daughters, Yuri crossed the border from the separatist area into Ukraine. It takes some seconds to write this sentence, but in real life the family was on the road about two days. Using the white corridor, changing cars and buses, without any guarantee to get to the final destination. Totally exhausted they reached Kharkiv, the closest big city on the Ukrainian side. The family went to the Jewish Agency straight away, where they were offered the First Home in the Homeland program. 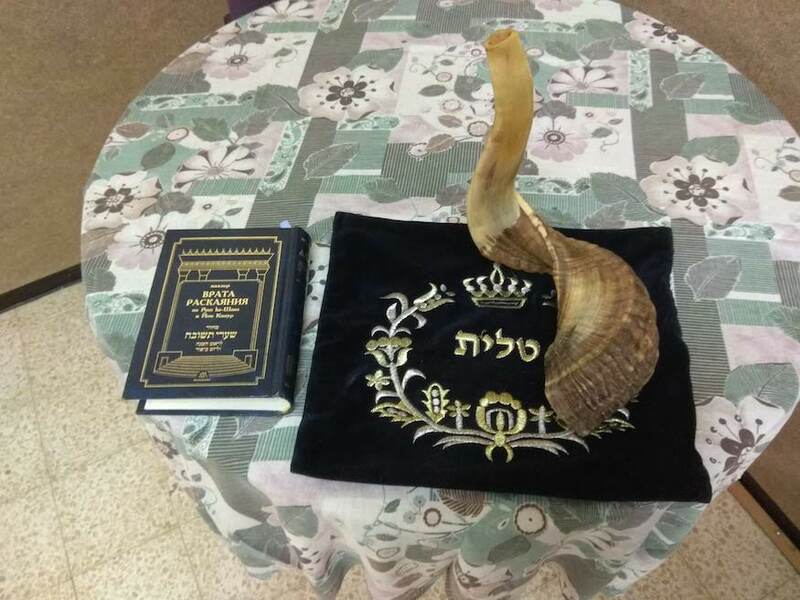 On the 13th of November 2014, Yuri, Alina and their two daughters arrived at the kibbutz Merhavia, North of Israel. They didn’t even have a blanket or a cooking pot – only the electric piano! Their supervisor in the kibbutz did everything to make them feel at home. “But you, mountains of Israel, will produce branches and fruit for my people Israel, for they will soon come home.” (Ezekiel 36:8). Finally, the family felt that someone cares about them! In 2013 Christians for Israel became the main sponsor of the aliyah project of First Home in the Homeland. 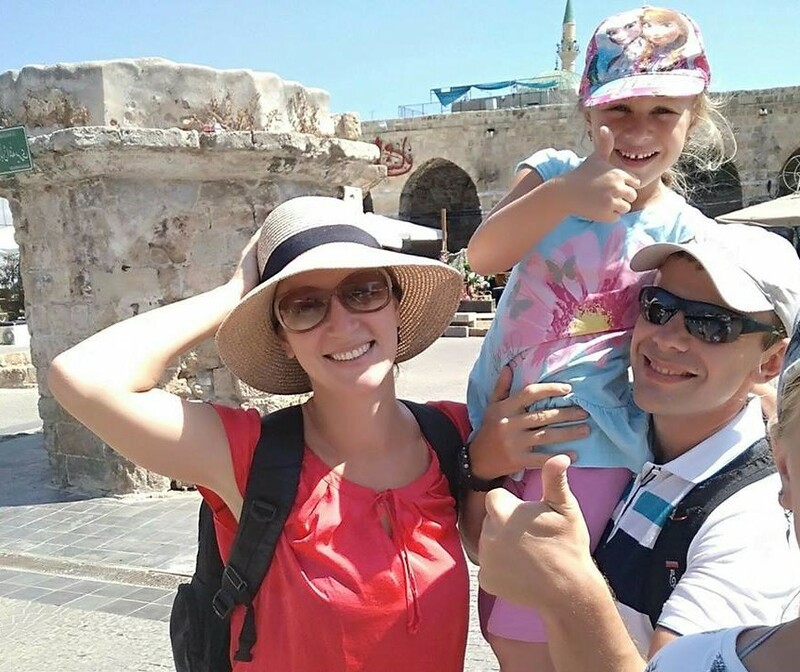 It gave to the family of Yuri and Alina and hundreds of other families a chance to make aliyah and experience a soft absorption in the Land of Israel! So more than four years passed – where is this family today? Are they happy about their decision? Did they find their place and meaning in Israel? Do they miss their life in Ukraine? Yuri and Alina live now in Afula, the nearest town to the kibbutz Merhavia. They stayed in the program First Home in the Homeland for one year, learned Hebrew, the girls went to a school and a kindergarten. Yuri had tough times because according to his papers from Donetsk he wasn’t recognised as a physician in Israel, so he went to a professional course and became a nurse. Alina studies now at the University of Haifa environmental studies. She’s already totally fluent in Hebrew – after a course of 5-5-5 – five times a week, five hours a day, five months long. 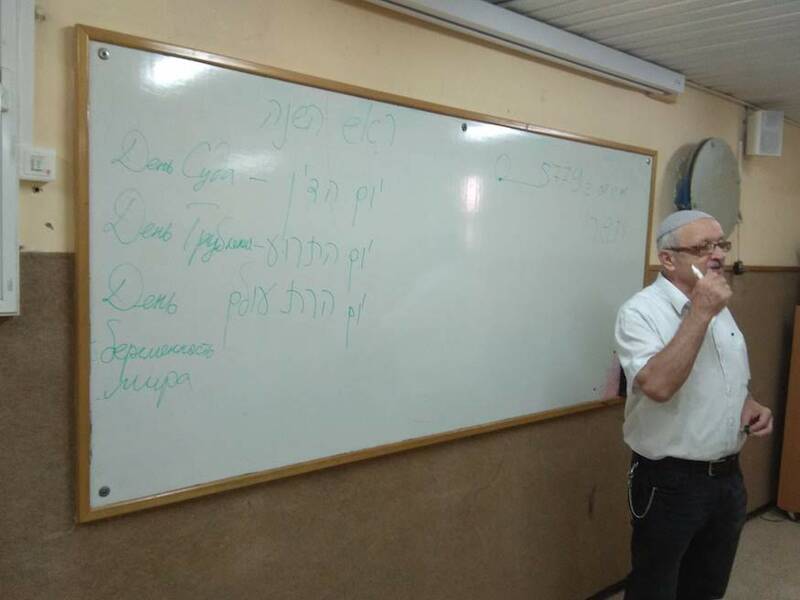 The scheme in which all the newcomers in First Home in the Homeland study Hebrew. Alina also works at the Ministry of Absorption in Afula. But what about the piano that was dragged across the border? Amaliya is now forteen, she still plays piano, just last week she performed in a concert for children with special needs, and played her electric piano! For this year we hope with your assistance to help more than four hundred olim joining the First Home program in one of the forty-five participating kibbutzim and settlements. 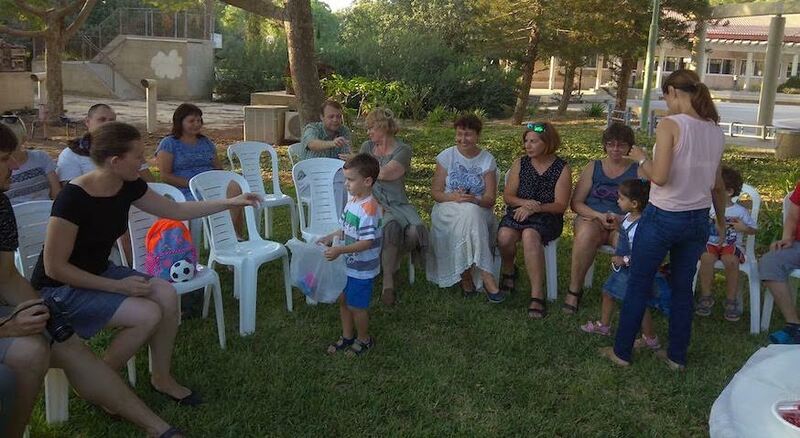 Newcomers in the kibbutzim receive a warm welcome, study both Hebrew and the roots of their Jewishness, coming back home physically and spiritually!